Took my friend Ana who is originally from Croatia to the summit of Mount Diablo last week. Ana is a traveling nurse and is staying at my mom’s cottage while working at John Muir. She doesn’t have a car and relies on a few of us to take her to fun Bay Area attractions on her days off. It is fun for me since I like exploring new places and enjoy going back to my favorite retreats. This week it happened to be Mount Diablo State Park. Ana had heard of this special place from her friend who loves to hike and lives in Santa Cruz. He told her you must check this place out, so it was on her bucket list of #thingstodo in the Bay Area. At first, we were limited on time so I drove us to Las Trampas where we hiked with another friend Mica. Mica is from Czech Republic and is here studying computer science. I met her recently and decided she and Ana should meet. So after several attempts, we were able to find an open morning to hike together. Mica had a previous engagement, so we cut our visit short. Anna’s heart was set on driving up to the summit of Mount Diablo, so off we went after dropping Mica off at her car. They enjoyed a nice chat about their home countries and how much they love living in California. I spent much of my teenage years working on top Mount Diablo at Turtle Rock Ranch and told Ana some stories about my time working there. When I was 14 years old or so, my older sister Susan and I were asked by our neighbor Jim Sumpter if we wanted part time summer jobs working in his snack shack at Turtle Rock Ranch. Of course we were excited at the opportunity and agreed to help him out. Every Saturday and Sunday morning @ 8AM, Mr Sumpter would pick us up in his truck. We would make a few stops to buy ice, meats and candy at wholesale stores in Concord before heading up the mountain. Turtle Rock Ranch was a recreational playground which companies, schools, churches held their summer picnics. It was my first real experience with catering large groups of people remembering the Innkeeper Linda making salads in huge plastic garbage bins. We served the most delicious BBQ ribs, and chicken alongside all the fixings liked baked beans, potato salad, green salad and bread. But most of all, I remember working in the snack shack where we gave out sodas, chips, Fudge Bar and Crunch Bar Ice creams, Cracker Jack Caramel Popcorn, Hershey’s Chocolate Bars, long red licorice ropes, frozen snow cones and much much more. All people had to do was give us a ticket and we would give them their cold drink or treat. And the best part was being able to eat whatever we wanted. At the end of the night, after a long day of working on our feet in the Concord summer heat, Mr sumpter would drive us home. Many nights we would see tarantulas crossing the windy street, yet I never came across one myself. Jimmy’s father passed away on Thanksgiving two years later and the Ranch was closed. We no longer worked there and by then had better paying jobs. I worked at Mr. Steak Restaurant as a hostess, then a waitress and my sister worked at Top Notch a local stationary store, then a clothing store in the Sun Valley Mall. My family loved the Sumpter family. Not only were we neighbors, but trusted friends. My other would allow their adult son Jimmy to drive us to school in the morning and pick us up in the afternoon. Jimmy lived with his parents and grandmother and had survived polio as a child. Since my father had abandoned us in June of 1980 the summer of my freshman year, we didn’t have a way to get to school in the morning. Jimmy was considered disabled, but was able to drive, and loved taking us to school in his fancy Camaro. I know, nowadays no one would ever trust a neighbor to be near their kids, but Jimmy and his parents were like family to us. My mother relied on him a lot, and my sisters and I were happy to not have to ride the bus or ride our bikes to school which was a mile away, in the cold winter weather. We even spent our afternoons after school in Jimmy’s parents’ garage where he sold candy out of the trunk of his car. I know, it sounds unreal, but it’s true. Jimmy began by selling jelly beans to the neighbor kids. We would congregate there, tell stories and hang out. Nothing bad ever happened there. Eventually, we got tired of jelly beans, and he began selling all sorts of candy, cold sodas and ice cream out of the freezer in his garage. Our teen days were fun, full of hard work and making money. We loved working at the ranch on the weekends and hanging out at Jimmy’s after school. We ate and ate, spent our savings on candy, soda and ice cream, but loved every second of it. Eventually, my mom sold the house on Grove Way, because she couldn’t afford the taxes. I remember telling Jimmy’s mother when she was ill in the hospital, that we would look after her son Jimmy after she was gone. 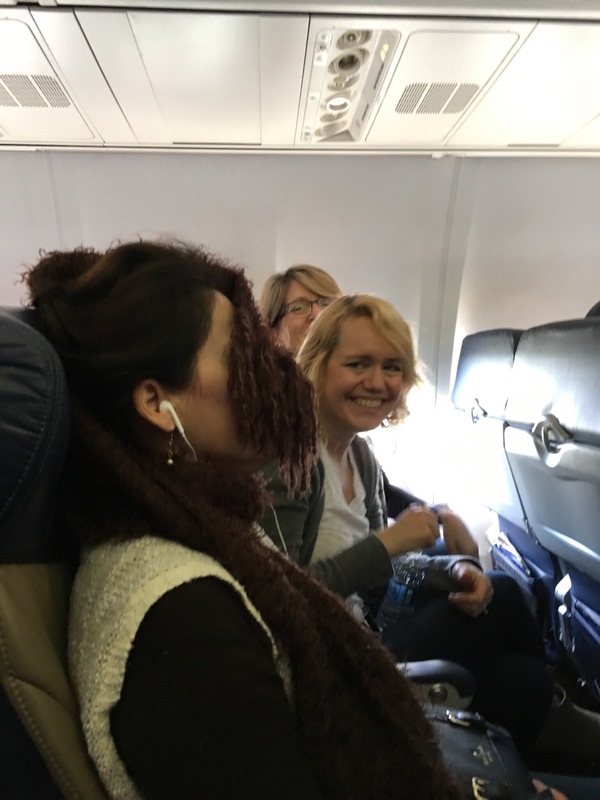 She died soon after. Even though my mom, sister and brother moved to Orinda and eventually Walnut Creek, we would stop by Jimmy’s house to visit. He stuttered, chain smoked and had a huge bird who kept him company. 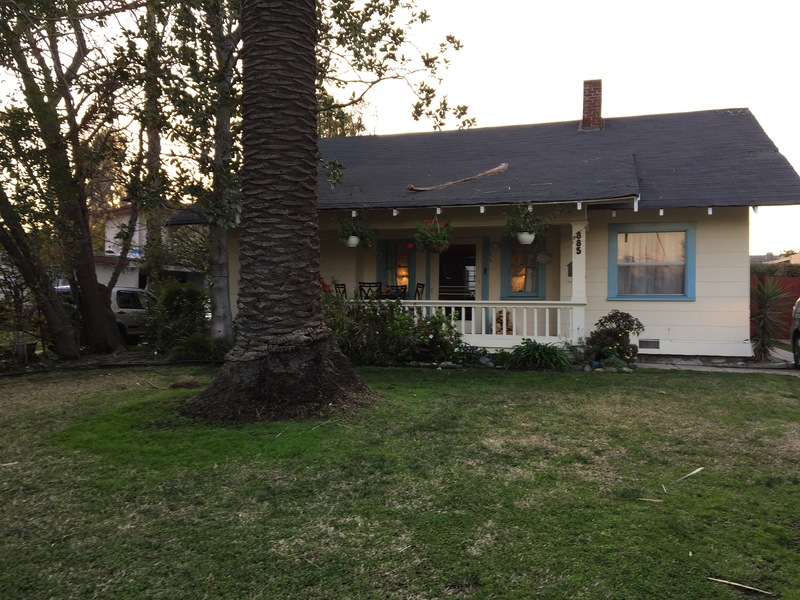 The Kellenhofer’s who lived next door cooked, cleaned and cared for him. I can still remember the mounds of Reese’s Peanut Butter Cups and bottles of Coke which lined his fridge. He had a horrible diet and ate at fast food restaurants by going through the drive through much of the time. But, I digress. I have many memories of Turtle Rock Ranch on Mount Diablo. Ana loved visiting the summit and I hope she enjoys her time while living in the Bay Area. Unfortunately, Turtle Rock Ranch is closed, the house is uninhabitable and the ranger Bruce Erickson said that they use the land for storage of dead trees, equipment, etc… I’m grateful for all the good memories I have from working on Mt. Diablo and I’m happy I was able to give Anna a little glimpse of my childhood. Hungry for chicken salad with ranch dressing? Combine mayo, buttermilk, sour cream and mustard in a small bowl. Sautee cloves of garlic and shallots in a small fry pan for 2 minutes on med heat in 1 T avocado oil. Chop garlic and shallots and remaining herbs. Add to mayonnaise mixture and season with salt and pepper. I pick fresh lettuce, arugula, pak choi, spinach, beet greens, radish greens, kale and Swiss chard from my garden to make a salad. I leave it simple and only add a bit of feta or whatever soft cheese you prefer. Pour cold dressing onto the sides of the bowl full of greens. Gently toss and serve immediately. Thank you for following my blog and for reading my story. It’s fun for me to share my life , recipes and experiences with you. Please leave my a comment below about your favorite first job, your latest hiking adventure or whatever you please. Lots has happened since my last blog post. We now have a new president named Donald Trump. Long gone are the days with Obama. I don’t consider myself a political person, nor do I get involved in protests, etc. It seems one cannot get onto social media these days without hearing the latest updates about what is going on in politics. The country is changing and people don’t like change. Even my book group ladies had different opinions about the presidential pick and his policies during our last adventure to So Cal. 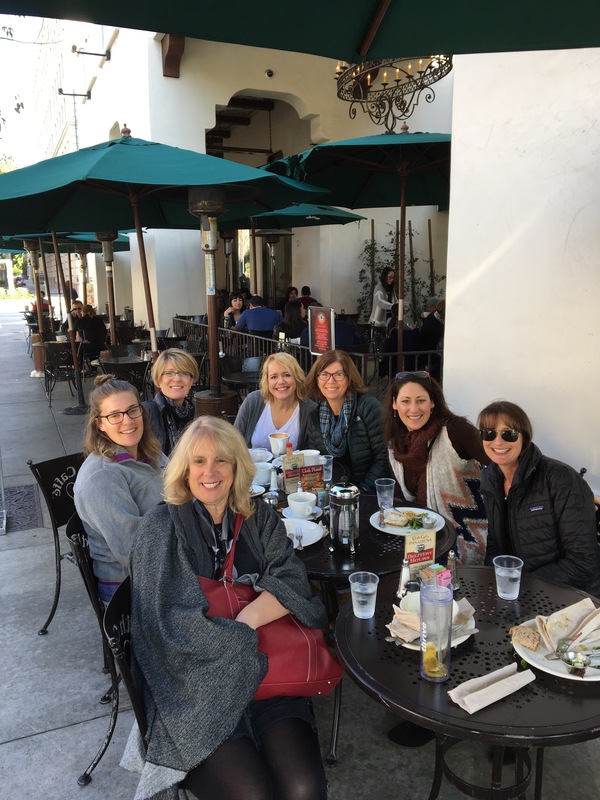 In January, the five of us traveled to Los Angeles to see a member who moved back east 6 years ago, then more recently to Southern California. I’ve known these women for the past twelve years. We’ve gathered at each other’s homes monthly to discuss the latest and best books one can find. We’ve raised our kids, talked about our parents and genuinely cared for one another through good and bad. We haven’t always agreed on politics, or religion, but that has never mattered. We’ve respected each other’s views and could set aside our differences. 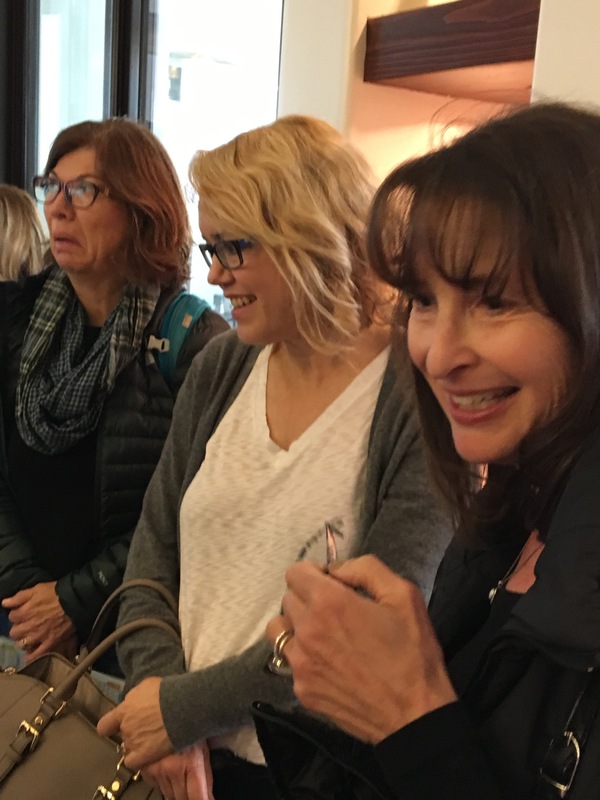 A few of the women had definite opinions on Trumps behavior in the oval office. I deliberately choose to “wait and see” and not get worked up over women’s rights, and the rest of the drama that is going on around us. It stimulates fear and hate and I like to live my life without chaos. Maybe I’m pulling the wool over my eyes and ignoring the news so I can live in harmony. I see what I need to see on Twitter and that’s enough. We stayed in a cute house in Pasadena where our friend Rachel lives. Rachel took us on a fun 3 hour hike at Chantry Park http://www.alltrails.com/trail/us/california/sturtevant-falls-trail Hiking So Cal where we took the Gabrielino Trail to the beautiful Sturtevant waterfalls and reveled in the rolling green hills. 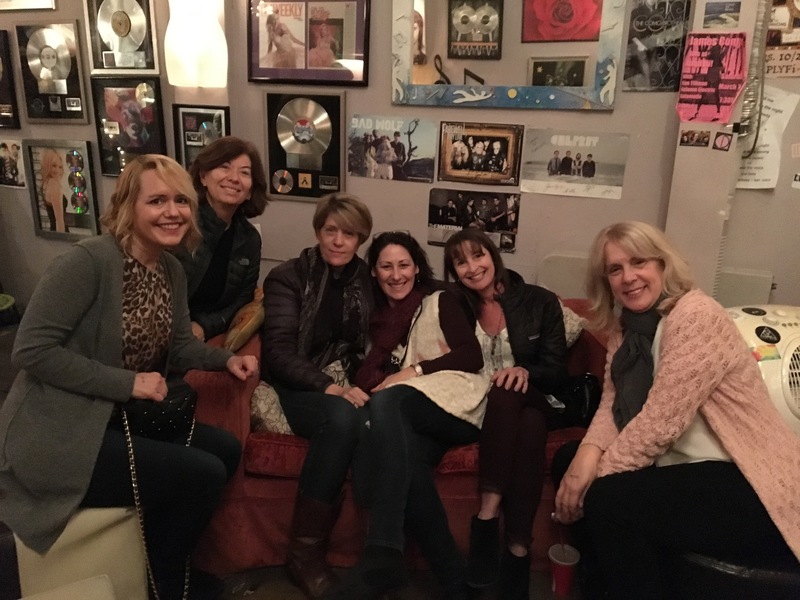 We stayed out late and attended a small concert in Hollywood starring Kylie Rothfield from The Voice and drank wine at a famous Bar called White Horse Lounge. The food there was presented with flair. 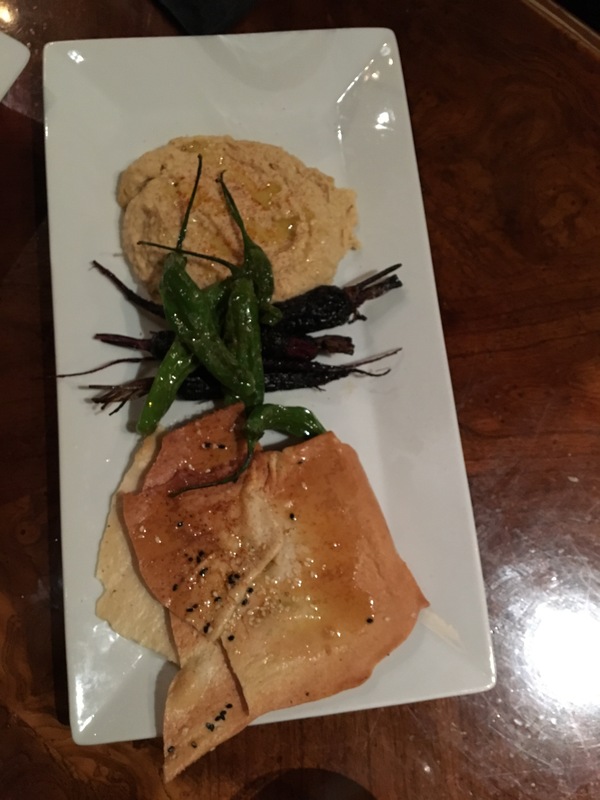 We especially liked the hummus with roasted shishito peppers and crispy flatbread. 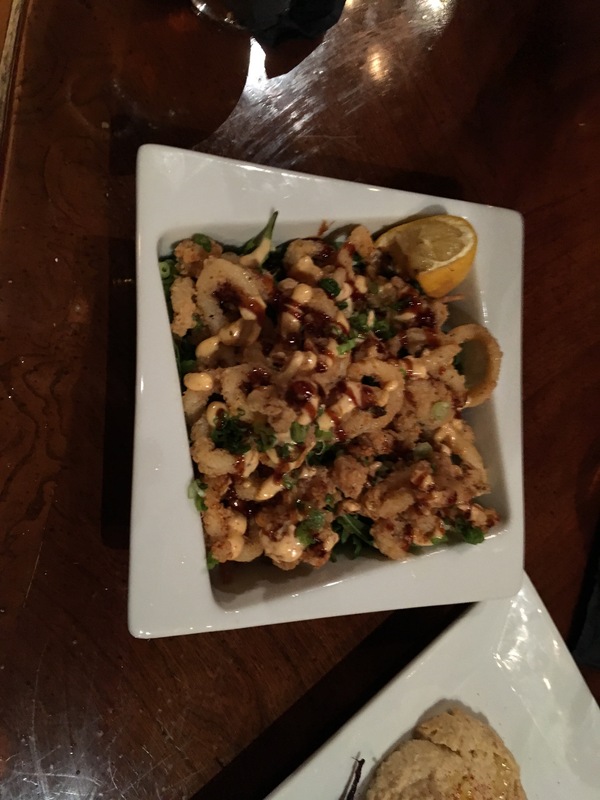 The calamari was served with a sweet and sour glaze and chipotle aioli. Not a bite was left on the platter. 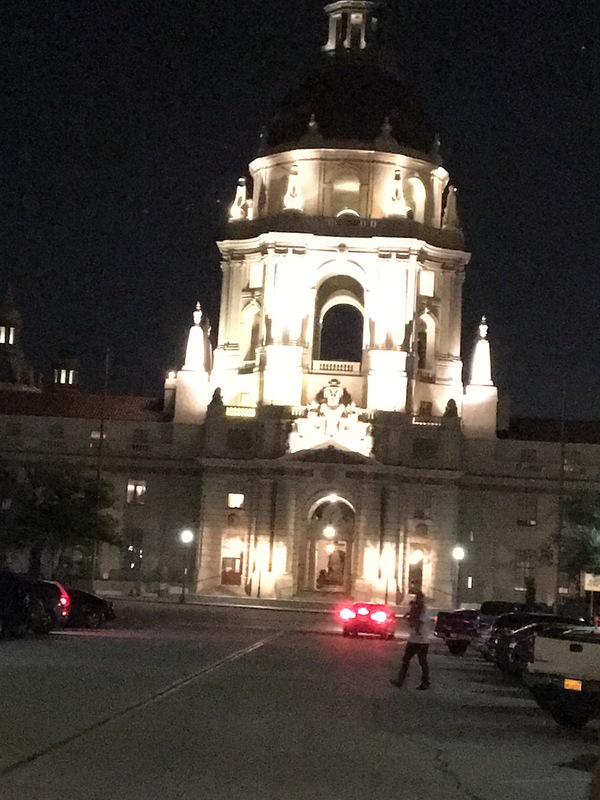 We stopped for a look see at Pasadena City Hall after appetizers and enjoyed the majestic display of lights on the antique building. It was exquisite. 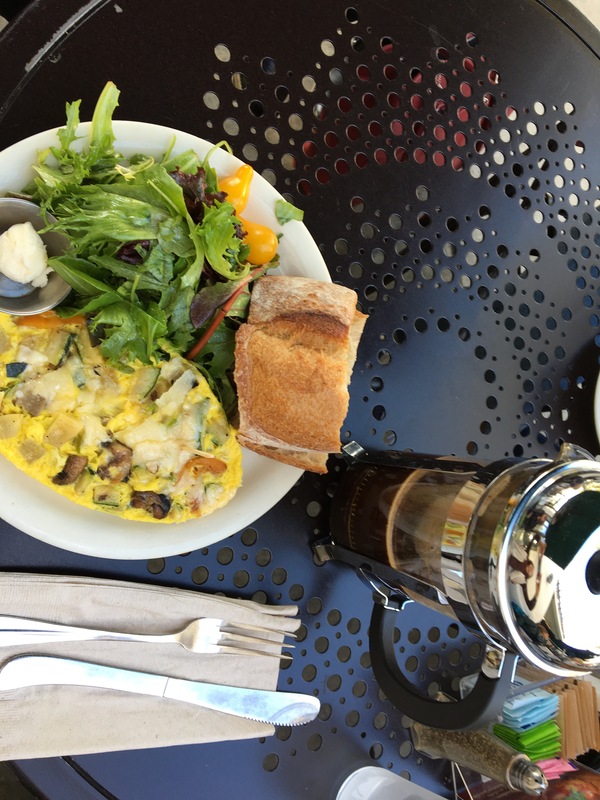 On our last day, we leisurely ate breakfast outside at Urth Caffe’ https://urthcaffe.com/caffe/locations/urth-downtown-la. I had a spectacular veggie omelet which didn’t disappoint. Normally, I would do the cooking on such a trip, but this visit was untraditional. We mostly ate out and made things easy. It was short and sweet and the perfect getaway vacation. I very much enjoyed spending time with the girls and look forward to our next vacation together. As time goes on, we will see how Trumps politics affect the country, hopefully in a positive way. I’m grateful for my life, my friends, my family and for the opportunity to live in the USA. Make sure when you travel with your friends that you respect their ideas political or otherwise. It makes for long and lasting relationships. Here’s the pumpkin bread recipe that I brought with me and gave as a hostess gift. It was a hit. Beat eggs until frothy. Beat in sugar, oil, and vanilla until mixture is thick. Sift dry ingredients together. Alternately, starting with dry ingredients add ½ C at a time to egg mixture and blend. Then add pumpkin, dry, then pumpkin, ending with dry. Stir in nuts and raisins until incorporated. Pour into loaf pan lined with parchment paper. Bake in preheated oven for 1 hour or until toothpick comes out clean. Cool in pan for 10 minutes, then invert onto rack and cool completely removing parchment first. You can frost w cream cheese frosting (1 8 oz pkg of cream cheese, 1 stick unsalted butter, 1 t vanilla, 2 C powdered sugar and orange or lemon zest. Blend in mixer till smooth). Tastes great by itself. Very moist and delicious.